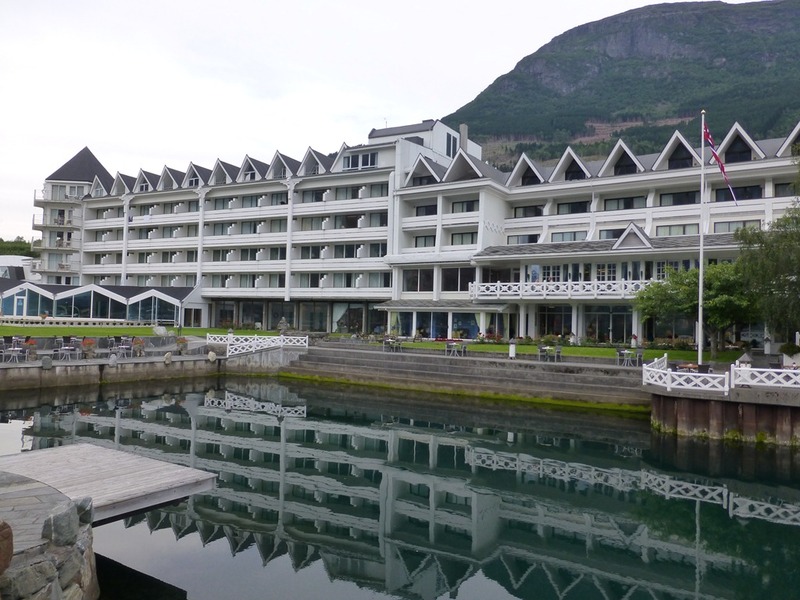 For many years I have heard stories about Ullensvang hotel from colleagues and they have been raving about it like it was most amazing place in the world. In August 2012 I decided to take my wife on a surprise trip to Hardanger and I saw that Ullensvang hotel is located here so I decided to stay at the hotel to check it out. 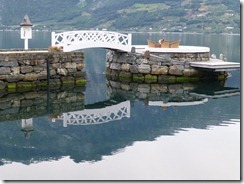 We drove from Stavanger on a Friday afternoon and when reaching Odda and Hardanger fjord you get a spectacular view . 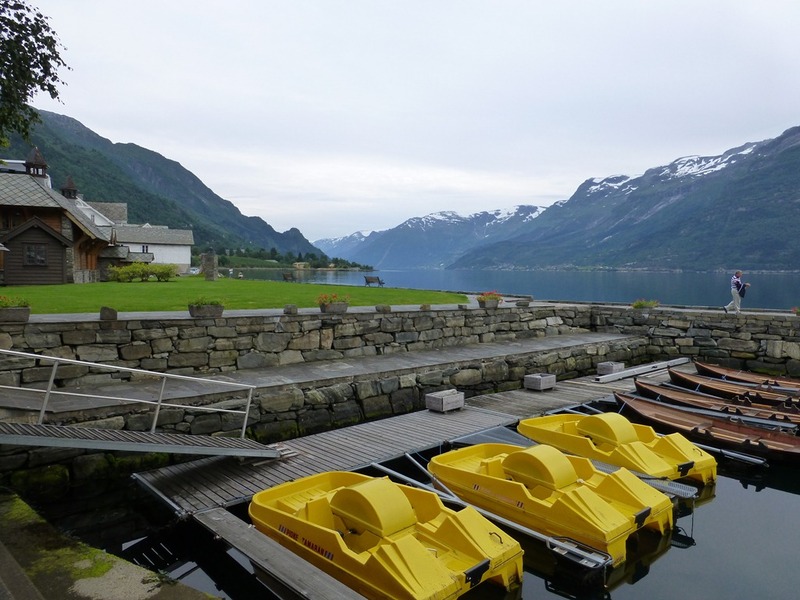 The fjord stretches out from Odda and on both sides there are majestic mountains with waterfalls and on the one side you can also get a glimpse of the Folgefonna glacier. On both sides apple trees are clinging on in the slopes leading down to the fjord. 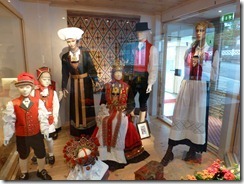 When we parked at the hotel a young boy came over to help with the luggage – he was a poster boy for the typical Norwegian with his bunad inspired work outfit and blond hair sticking out under the hat. Once you get into the lobby there is a display of the Hardanger bunad (the traditional Norwegian costume from this area). 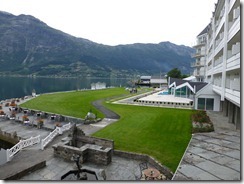 But if you walk a few more steps you also get a beautiful view of the fjord in front of the hotel! 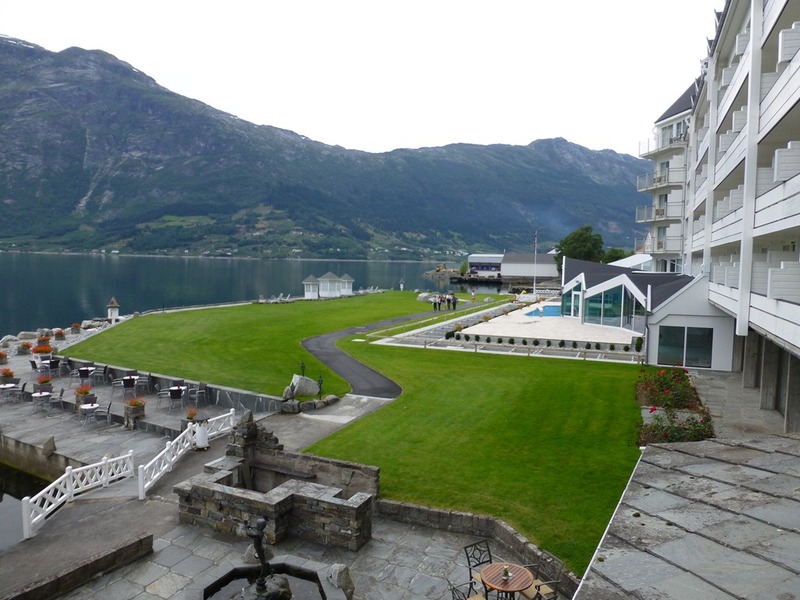 We got room 628 and after traveling a lot and staying at pretty nice hotels around the world I have to be honest to say that I was not expecting much as Norwegian hotels normally don’t have that much to offer. 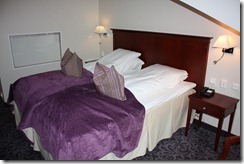 But I was pleasantly surprise when walking into the room. 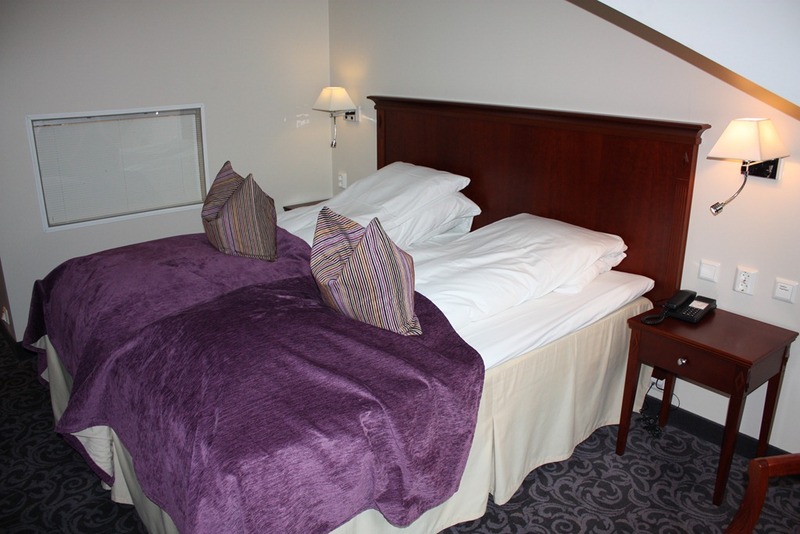 The room was not that big but it had light walls, two beds pushed together to form a double bed, a dark purple/greyish carpet, dark wooden furniture with purple colors in the fabric, a small TV on a small fridge, a desk with a chair and a mirror. There was also a dark wooden wardrobe by the entrance to the bathroom. 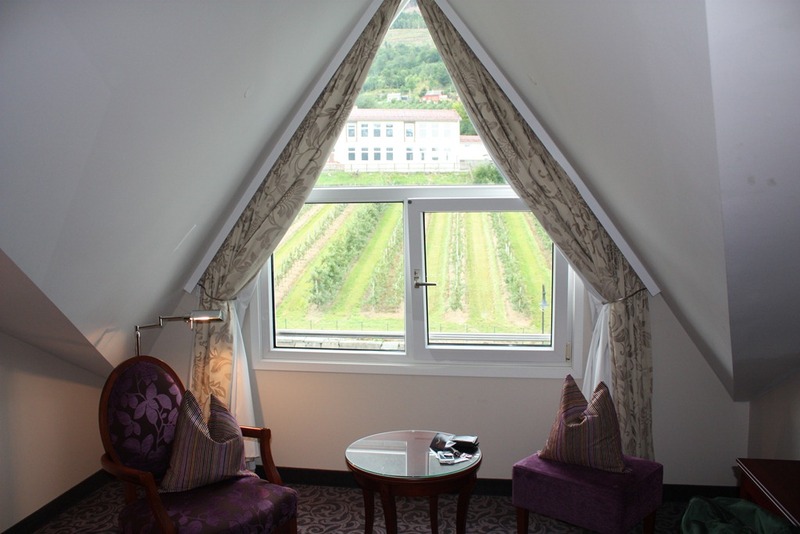 We got a room with a view towards the apple tree garden and the mountains but I’m sure that you can get an amazing fjord view if you pay a bit extra. 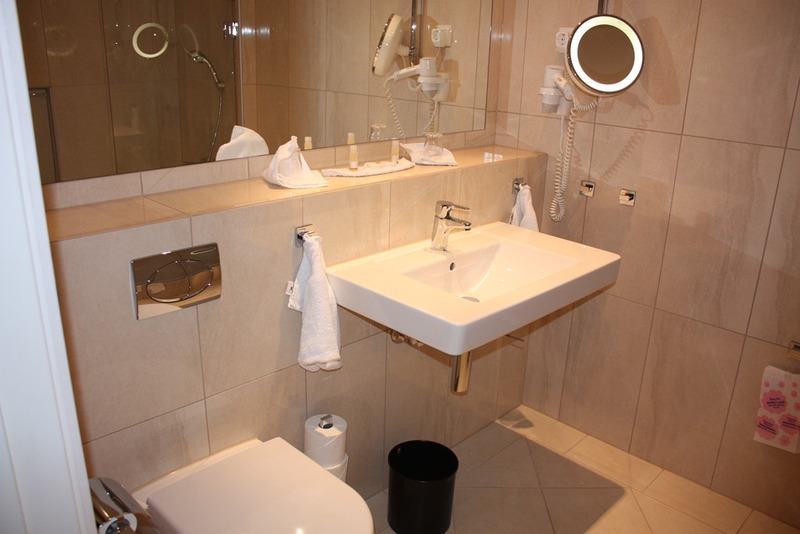 The bathroom seemed to be brand new and was tiled in large, light tiles and the bathroom furniture seemed modern and new. The shower option was in the bathtub and a glass panel prevented water splashing everywhere and it worked pretty well. 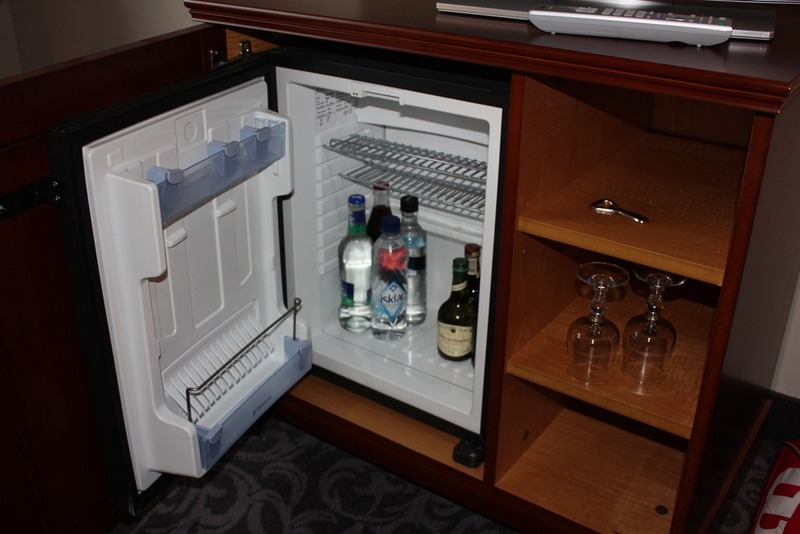 There were not that many bathroom amenities…only a body and hair shower gel and small bars of soap. 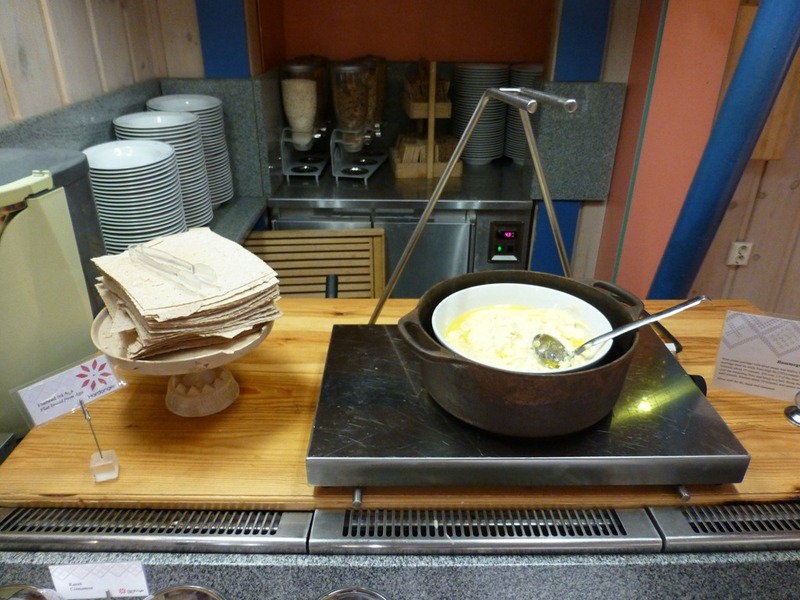 We also had breakfast included in our stay and they have a pretty good breakfast indeed – breakfast is usually good in Norwegian hotel and Ullensvang could also offer a great selection of bread, cereal, locally produced apple juice, cheese, cold cuts etc. There was also a bit of egg and bacon but as usual Norwegian hotels are better on the cold food compared to warm food for breakfast. 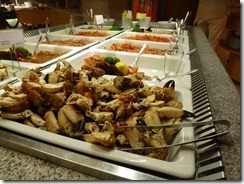 The hotel also had a dinner buffet at night which was very good. 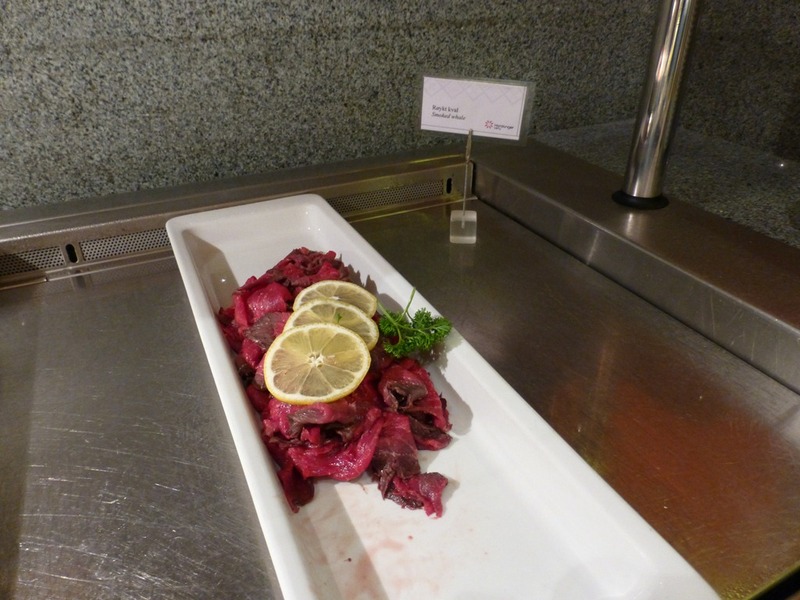 At night they had a wide variety of cold cuts including some typical Norwegian stuff such as rømmegrøt (sour cream porridge), fenalår (salted and dried leg of lamb), smoked whale meat etc. 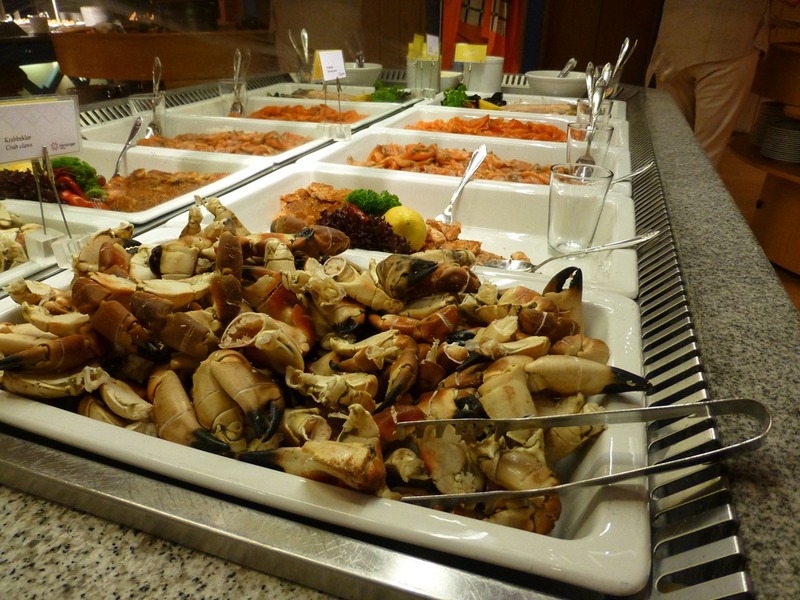 But they also served various fish (salmon and trout), crab, roe and various meat (pork, reindeer, beef etc). 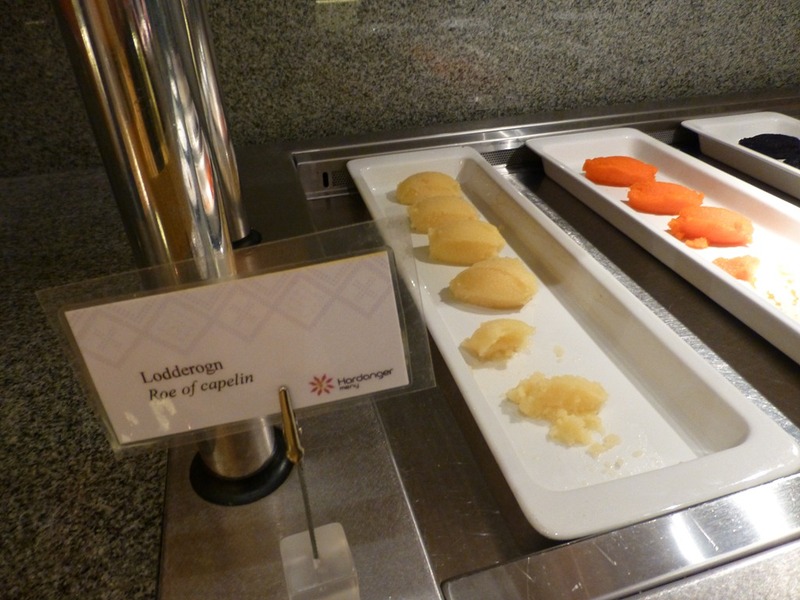 The dessert selection was also outstanding serving cheese, a selection of cakes and again typical Norwegian favorites such as karamellpudding (flan) and tilslørte bondepiker (apple jam and cream). 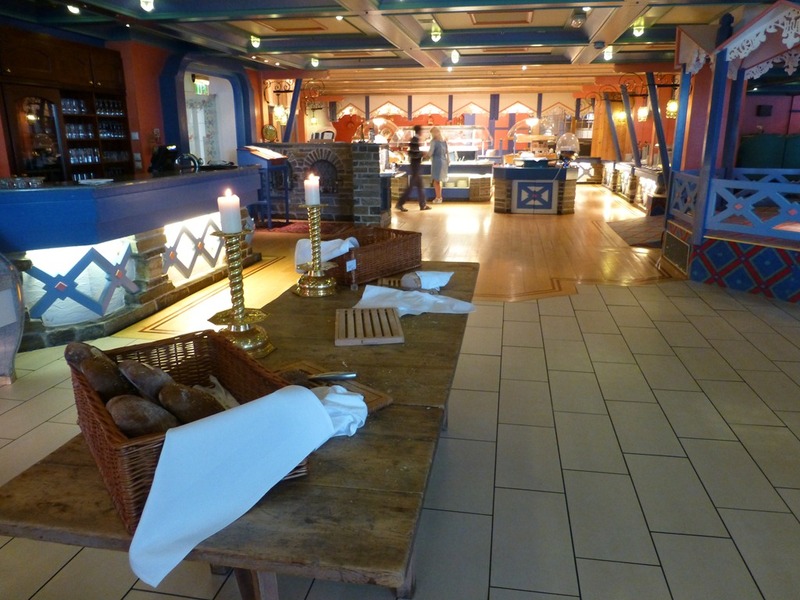 The dinner buffet is about 500 Norwegian kroner per person (about 85 USD). The hotel also has an a la carte restaurant which we checked out on Friday night. 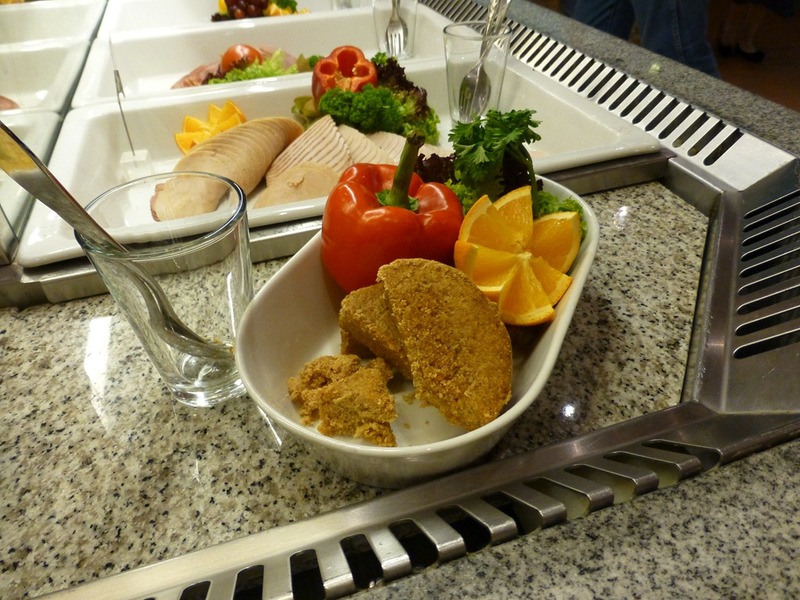 They had a small but good menu and to start with we got some cold cut with a strawberry jam which sounds like a weird combination but it was actually a pretty good combination. 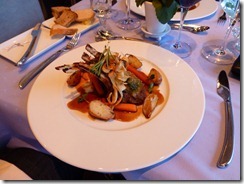 I continued with the duck confit starter and had rack of lamb with roasted vegetables which was excellent. 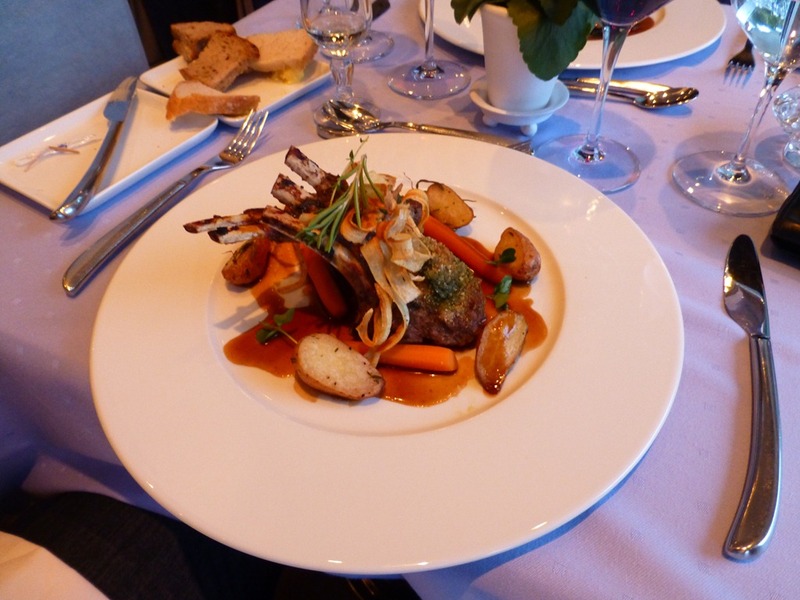 Together with a good bottle of Italian wine we really had an excellent meal at the Zanoni restaurant. 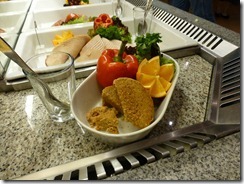 In the end we had some dessert made from local products and I also got a small glass of dessert wine to round it off. 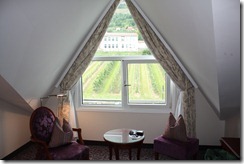 The hotel is large and provides lots of activities. 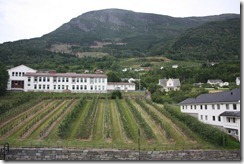 If you move outside there is a beautiful garden leading down to the fjord. You can rent a pedal boat or a rowing boat if you want to get away from the hotel, you can rent a fishing rod if you want to try to catch a fish for dinner…or you can head over to the activity part of the hotel where you can play squash, tennis, table tennis, work on your swing in the golf simulator etc. There is also an indoor/outdoor pool and it seems like they are working on expanding the pool area where the water will be heated (of course). 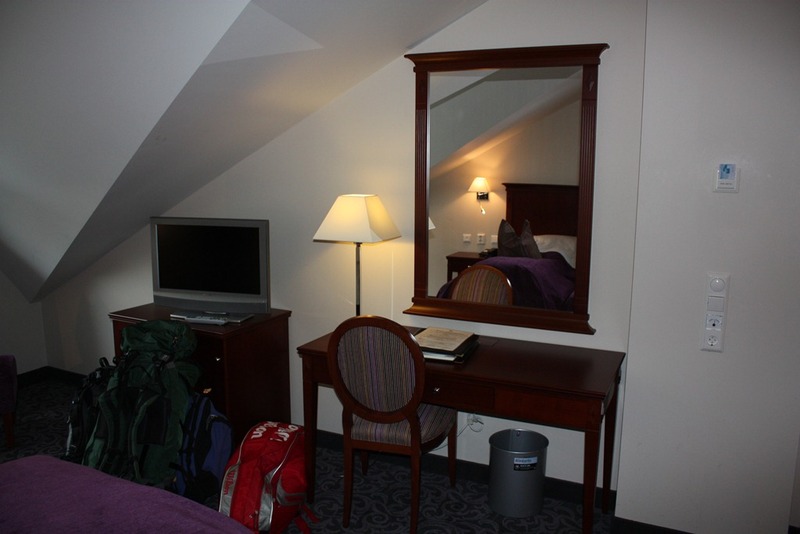 The room cost about 2000 Norwegian kroner per night (including taxes and breakfast) which is about 340 USD per night and hence it is quite expensive. We did get free wifi included but I’m a bit annoyed to see that you have to pay extra to get access to e.g. the fitness room. 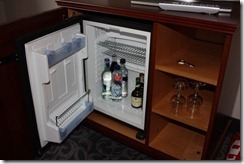 Maybe stuff like that should be included when you pay that much for the hotel room itself. 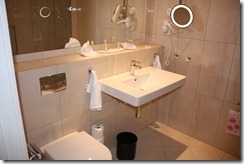 I would also have liked to see more amenities in the bathroom (shampoo, conditioner etc). But all in all I was very impressed with the hotel. 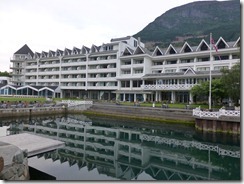 The hotel is filled with items that tell a story about Norway, the history and the location. I’m glad to see that they are also serving some traditional Norwegian dished for breakfast and dinner to let the tourists get a taste of Norway. 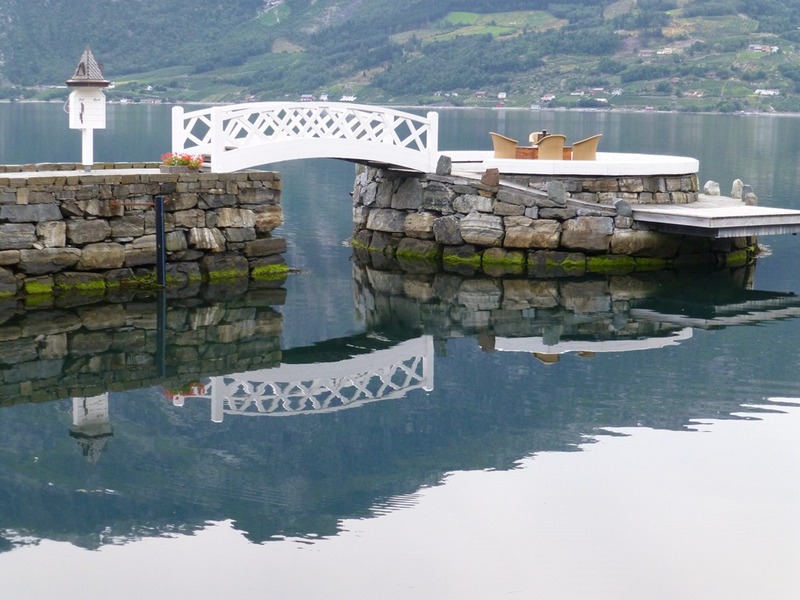 But the best of all is of course the location of the hotel…located just a step away from the beautiful Hardanger fjord gives the hotel a breathtaking view. 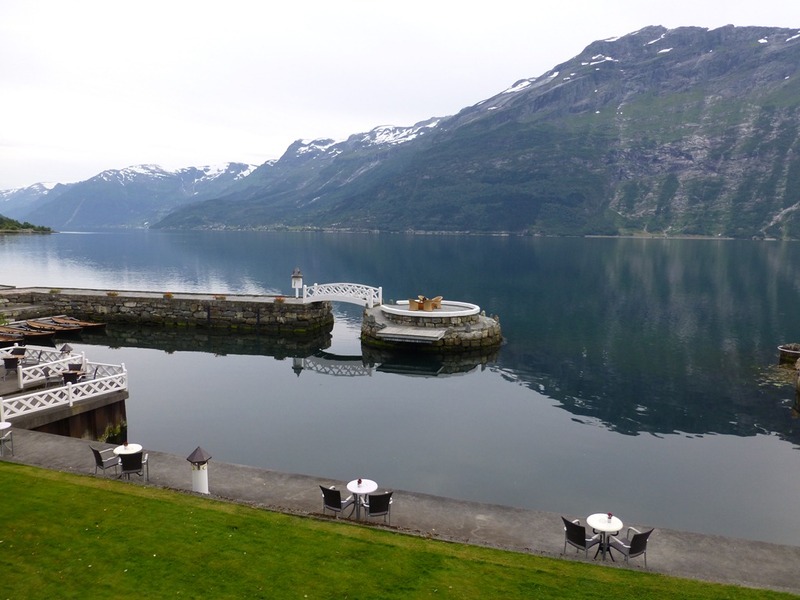 Once you step out of the hotel you get an amazing view of the fjord and the mountains that surrounds the fjord. 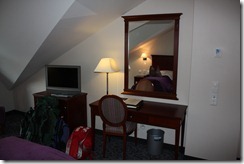 If you are going to the area I can really recommend a stay at this hotel.